On my final Sunday in Montpellier at the end of June, Damien's parents took us to Roquefort, where Roquefort cheese is produced (sheep milk blue cheese). 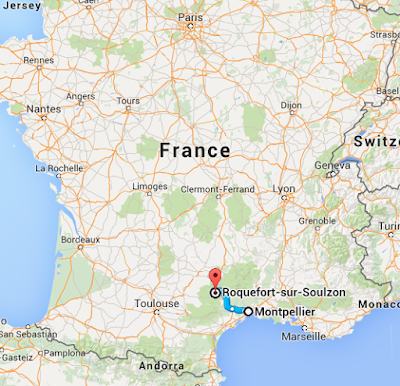 Here's a quick map to see where it lies in comparison to Montpellier, about an hour and a half away. The area has many natural caves, which is where Roquefort matures on shelves—down in the year-round moist, cool climate. 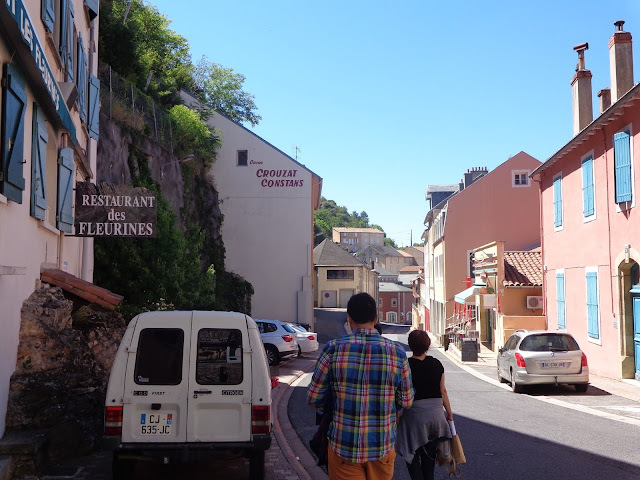 But before we toured one of the caves and learned all about Roquefort cheese, we wandered through the tiny town and found a place to eat lunch. 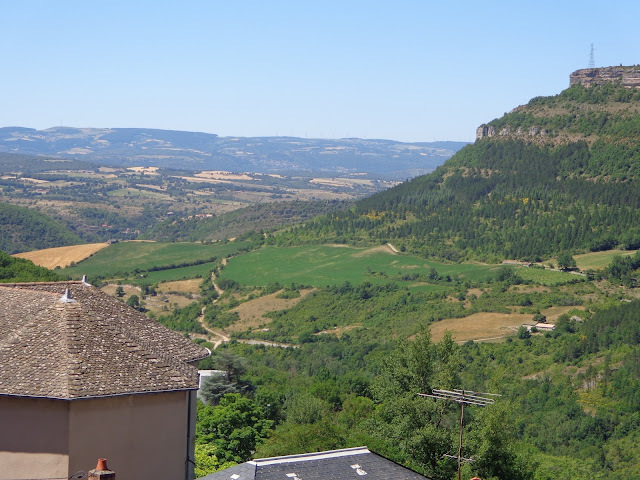 With full bellies, we walked a bit farther up and into town, enjoying the pleasant views along the way of the valley below. Perhaps the most special thing about Roquefort cheese is that it was the first cheese to be given the "A. O." distinction back in 1925. A.O. 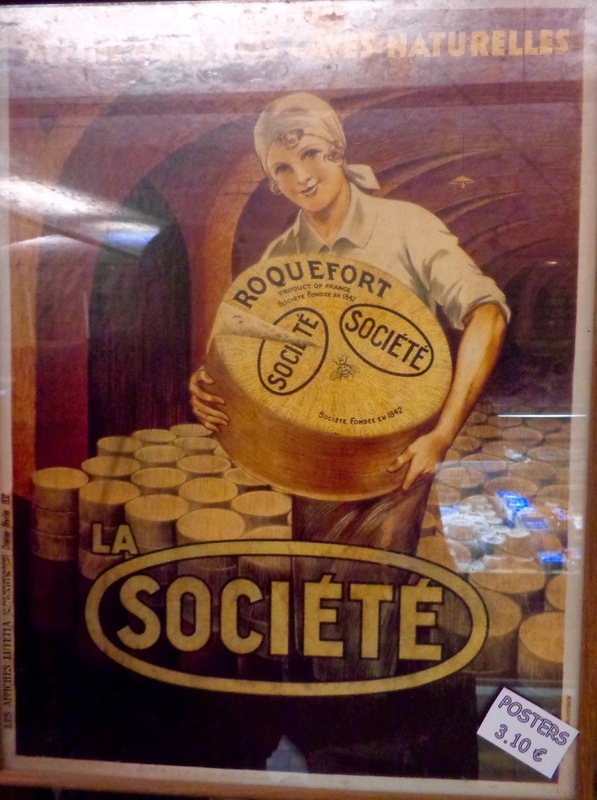 stands for "Appellation d'Origine Contrôlée," and means that there are certain rules for how and where this cheese can be made in order to carry the label "Roquefort." So it sticks to tradition and keeps the quality high, since you can't have any cheap knock-offs that don't use the required ingredients or go through the entire process. It takes at least three months to make this cheese! 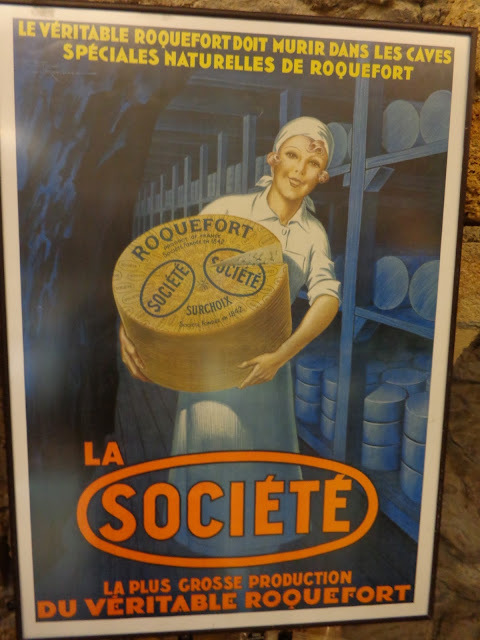 The process at Société, the company whose caves we toured, begins with milk from the Lacaune ewe. After the milk is curdled, they add Penicillium roqueforti spores—just 4 grams per 5,000 liters of milk. It's these tiny spores that become the green spots over time. 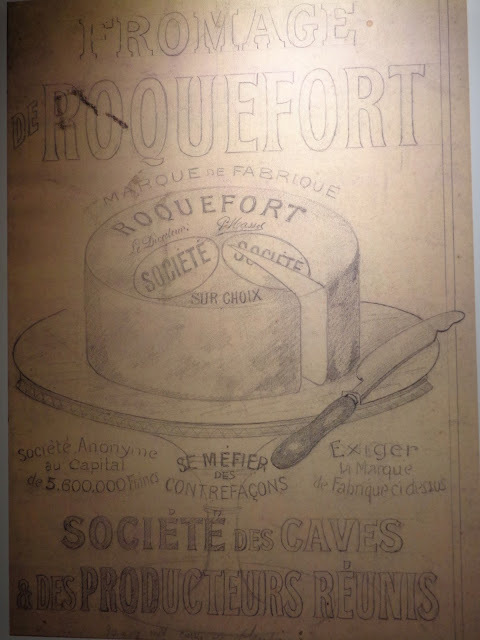 "The mold that gives Roquefort its distinctive character (Penicillium roqueforti) is found in the soil of the local caves. Traditionally, the cheesemakers extracted it by leaving bread in the caves for six to eight weeks until it was consumed by the mold. The interior of the bread was then dried to produce a powder. In modern times, the mold can be grown in a laboratory, which allows for greater consistency. The mold may either be added to the curd or introduced as an aerosol through holes poked in the rind." Small holes are poked into the cheese's surface at Société, and then they're placed on wooden shelves that are salted. The combination of salt and wood captures the humidity to aid the growth of natural fauna. 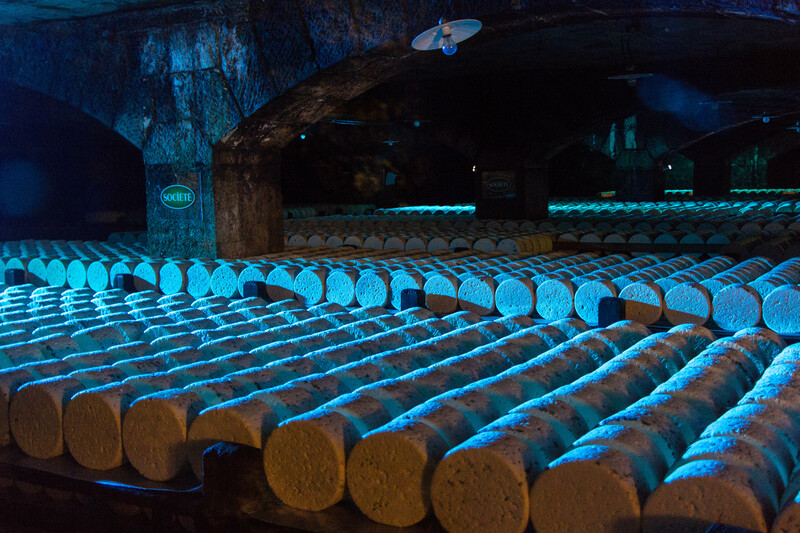 After 14-25 days of "ripening," the cheese is wrapped in a type of tin foil and placed in controlled temperature cold rooms for 3 to 12 months as the cheese develops. 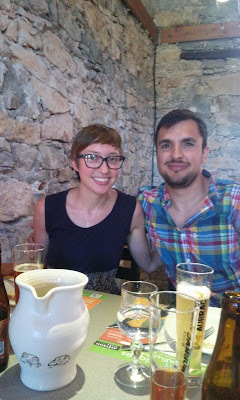 At the end of the tour we got to taste the three different types of Roquefort that Société makes. Damien had introduced me to Roquefort when we started hanging out, so I know the taste. I think it's great! 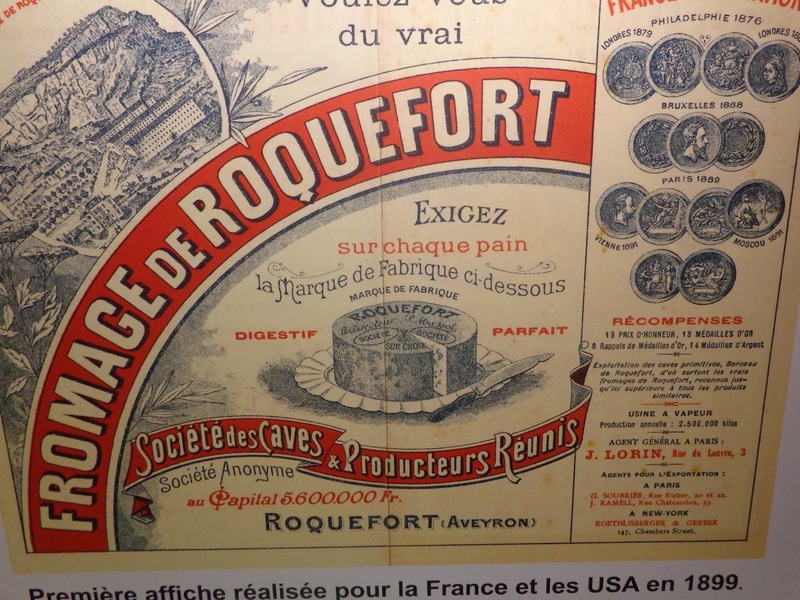 Now you're probably wondering where you can get your hands on some French Roquefort cheese in the USA, right? Unfortunately it's not so easy. On my tour someone asked if you can buy it in the states, because they'd heard it's illegal, and our guide said that you actually can buy it, but it's heavily taxed (since the U.S. doesn't like raw milk). But now I'm seeing articles that say it was banned from the United States last fall (2014) because of the natural, harmless bacteria found in the cheese (which is also found in our gut). These have always been in the cheese, but the FDA lowered its maximum amount of bacteria from 100 MPN to 10. Here's another quick read in the Los Angeles Times blog on how the FDA is keeping some of the best cheeses out of the USA. So, I'm not exactly sure if you could find it somewhere in the states today. (Anyone know for sure?) 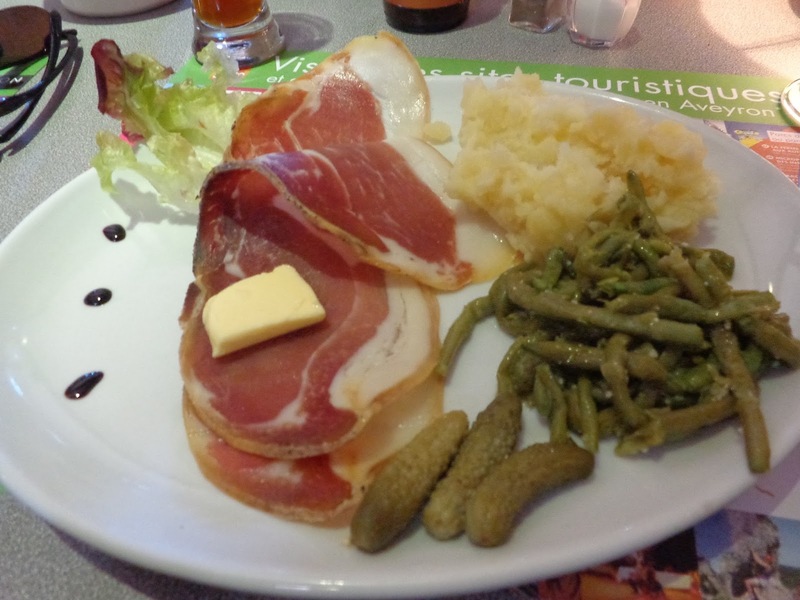 I'm fine with waiting to go back and eat my Roquefort in France. Upon leaving and stepping back outside, the glorious heat swooped in and immediately warmed me to my core. 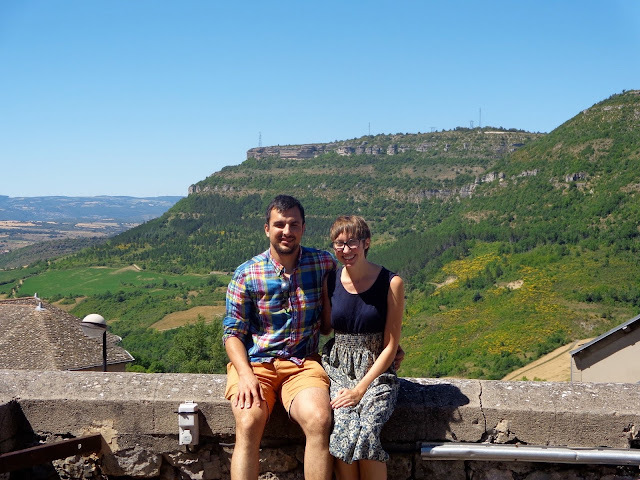 I'd forgotten how much of a temperature difference we'd experienced during the cave visit. Then we snapped a few photos before walking back down to the car. We must have taken a different way home—well, we did take a different way—because after we'd been driving for a bit, all of a sudden out of nowhere comes this humongous bridge, which we drive under. 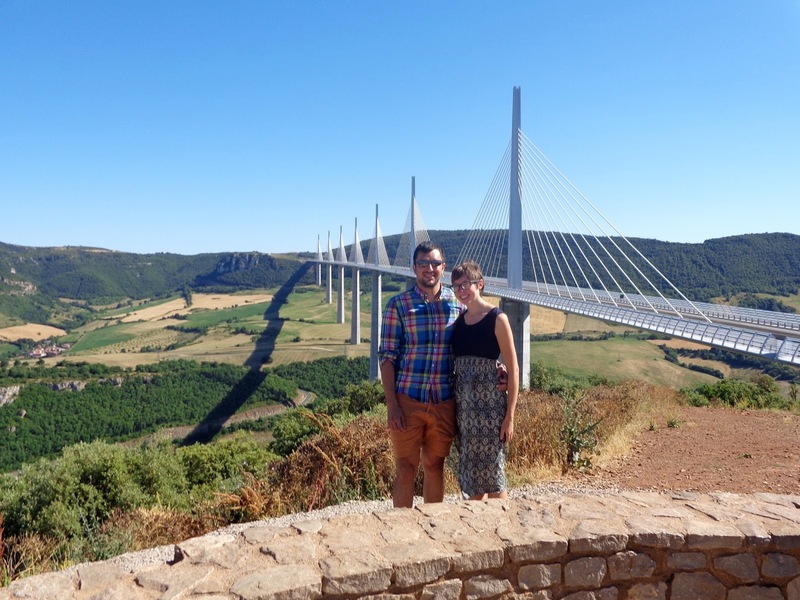 Damien's parents are quick to tell me that this is the tallest bridge in the world. Say whaa? At first I doubted the truth to that statement. I mean, I couldn't have been living so close to the tallest bridge in the world and not known, right? And surely there were taller bridges elsewhere. 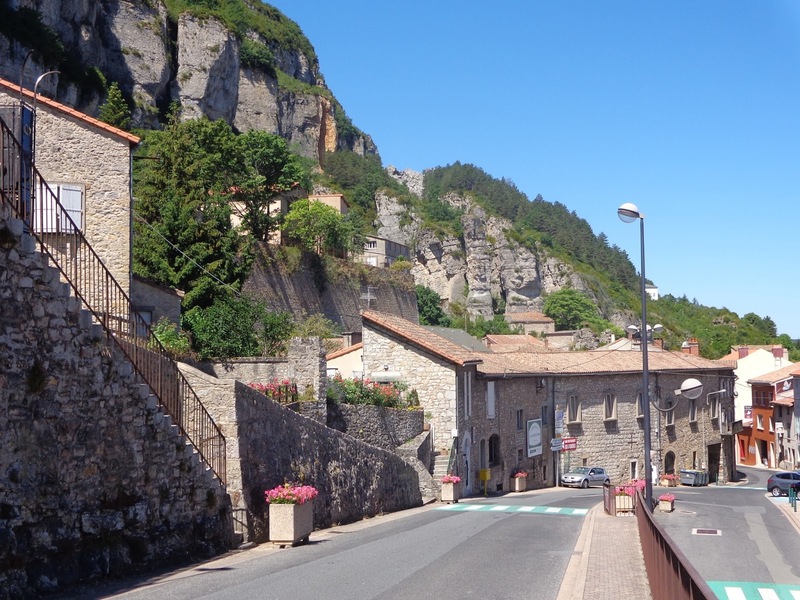 Why would the tallest bridge be in the middle of some tiny town in southern France? 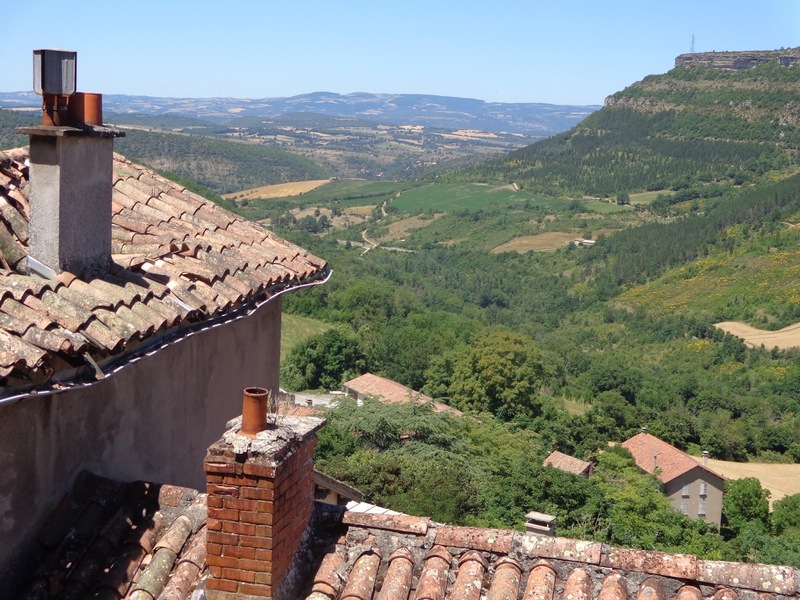 Maybe they meant it's the tallest in France. Or perhaps Europe. But no, it's totally true. 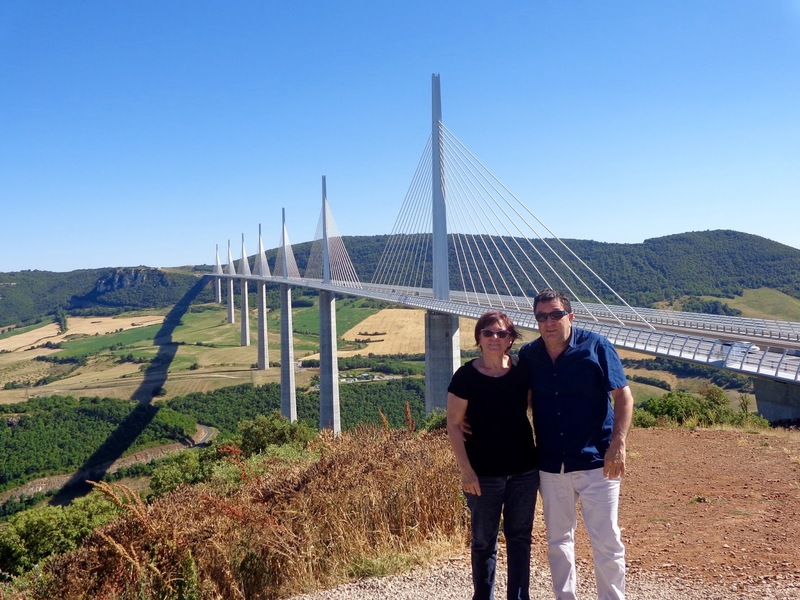 The Millau Viaduct is indeed the tallest bridge in the world. It was constructed in just three years, opening to traffic in December of 2004. 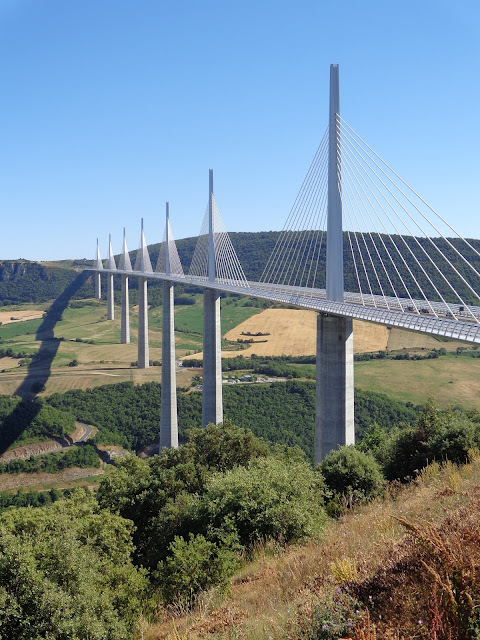 Its highest point is 343 meters (1,125 ft) above ground, which is 19 meters (62 ft) taller than the Eiffel Tower. 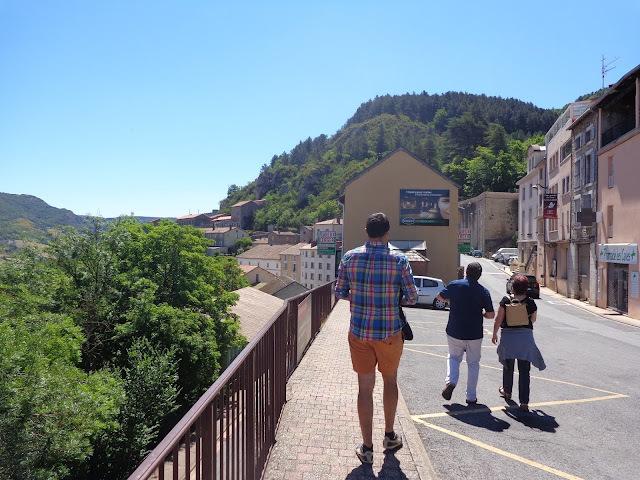 After passing underneath the architectural marvel, we took a scenic route through the next town and backtracked a bit so that we could drive across the bridge. There was a place to get out and look at the bridge before crossing, so we briefly stopped to admire the views.